Lacy Altwine is a graduate of Tarkio College with a BFA in Theatre Performance. She is currently the Stage Combat Supervisor at The American Musical and Dramatic Academy in Hollywood. Her favorite Theater credits include Emelia in Othello, Rose Arnott in Enchanted April, Emily Dickinson in Belle of Amherst, Frankie/Francis in Voice of the Prairie, Dawn & Annie in All in the Timing, Countess in Picasso at the Lapin Agile, and Jennie Malone in Chapter Two. T.V. 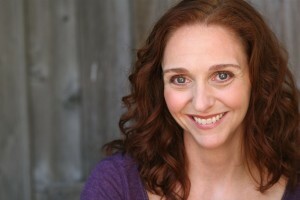 credits include Elisabeth Jackson in Andrew Jackson on the History Channel; Film credits include Cindy in Mulletville and Jenny May in Merv’s Tavern; Web Series credits include Sarah in The Hunted: Women of Will; Motion Capture and Stunt credits include 2012, The Mummy: Tomb of the Dragon Emperor, Andrew Jackson, Midnight Sun (trailer) and Going Straight.